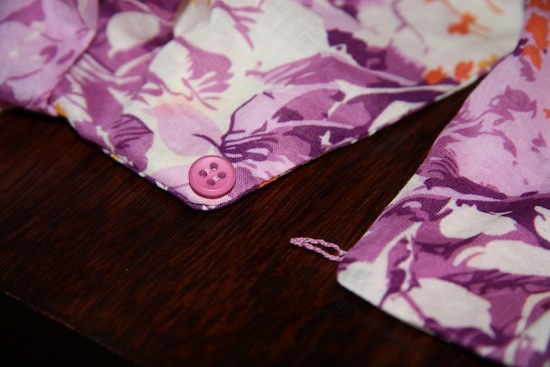 Today I’m going to blab on about how much I love the sewing blogosphere. Everyone is just so awesome. 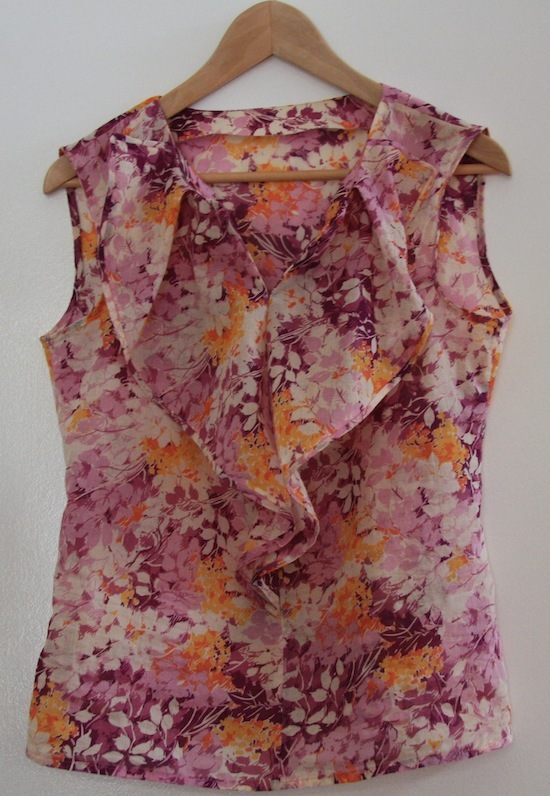 Case in point – when serenageo of Burdastyle posted this gorgeous, floaty top from the August 2009 issue of Burda mag, I commented that I loved it so much that I was going to try and track that issue down. Turns out that issue is coveted by many a sewing-enthusiast, so my extended bouts of online searching went mostly in vain. When I logged back in a few days later, she replied to say she’d be happy to send me a copy of the pattern. Cue ginormous grin! A little while later, I received a package from Romania. Not only had she traced the pattern for me, but also written me a lovely letter and included a super gorgeous crocheted collar (which I’m planning to include in another top at a later date. It’s taken me nearly six months to get around to making this though, so don’t hold your breath!). My initial muslin for this was a bit of a joke. Besides having bucketloads of ease, clothing in general that is straight up and down just doesn’t suit me. Unless you like the bag of potatoes look. So I took in a lot of ease, added a bit of shaping to the seams, a dart above the bust and cut back the ‘sleeves’ for a more flattering fit. 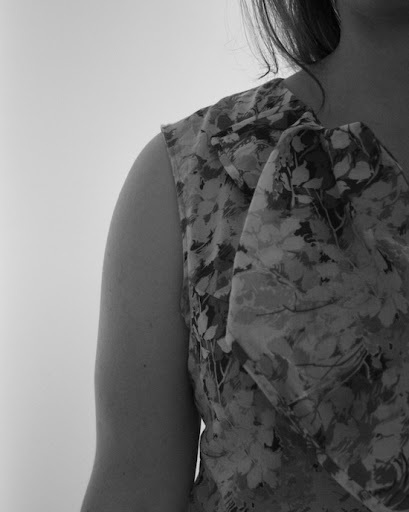 The top itself was a breeze to put together – I even found two perfectly matching buttons to go at the front so had the added indecision of deciding which one to go for. From Buttonmania, naturally. 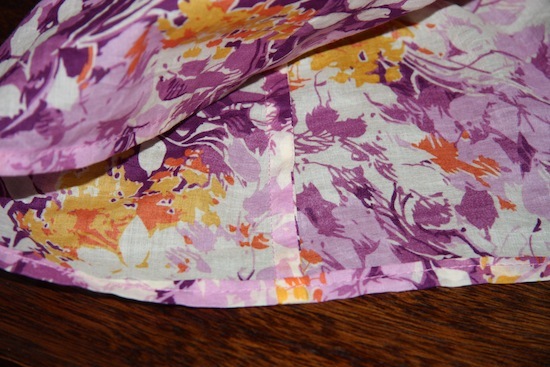 I made it with a cotton voile called ‘Then Smell the Mauve‘ from Tessuti. The fabulous thing about this fabric is its so light and breezy – but it’s almost impossible to tell the wrong side from the right side – perfect because the frill detail is single sided. I made this plus bias binding for around the frill edges. All this from a meter of fabric – another meter is soon to be on its way to Romania for serenageo, so I hope she likes it as much as I do. So thanks Geo, you’re one totally awesome dudette! Oh, and Merry Christmas everyone – hope you all have a wonderful, safe and happy break! gorgeous top! love the fabric, style, everything. i like how the ruffle isn't too over the top, no wonder it's so hard to track this pattern down! It's beautiful! Merry Christmas Poppykettle!! Oh, this is so cute! What a sweet style, and that fabric is amazing! I bet Geo will love it! So pretty! Have a great Christmas! Wow, that was very generous. This style and fabric looks fantastic on you. Have a Merry Christmas and a fantastic 2013!!! 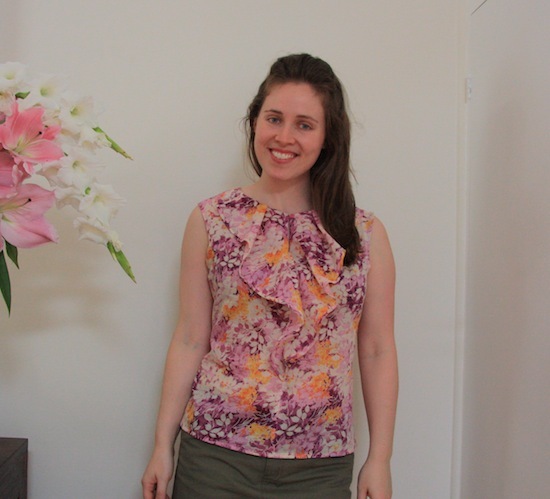 The sewing community is pretty awesome :) Enjoy your lovely summer top. Really sweet top, and what an awesome surprise that package must have been! Merry Christmas!! Lurrvve it!! And as previously said – ruffles not too OTT and clownish. Absolutley perfect for a Melbourne summer ;-) . Huge bouquets must go to Serenageo for her kindness. Merry Christmas to you and your sewing communityD. Oh, what a great pattern. The blogasphere is certainly amazing! What a great Christmas top! Love it. Hope you have a good Christmas! 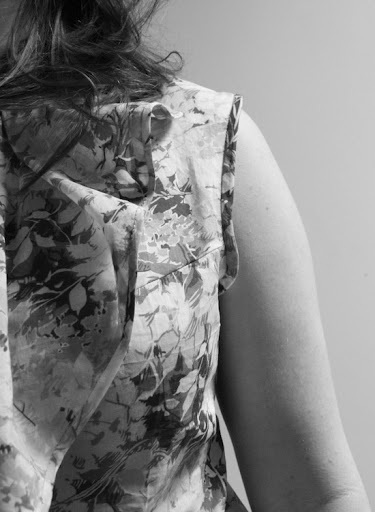 Love your blouse. And you're right about the fabulous sewing blogasphere. How else could you not stay motivated and have fun talking about sewing and sharing too? GAHHHH! This is gorgeous! I love the fabric and the fit. And such a generous start to the whole project- love the sewing blogosphere! What a great tale of sewing sistahood! Lovely top, too! I love the blouse, the story makes it even better. That is a great example of how lovely the sewing community is! That's a lovely summer top, and how nice that every time you wear it you'll think of what a sweet gift it was! Lovely top. You really do meet nice people in blogosphere. I love the fabric you chose for this top. You and your blouse look gorgeous. What a fabulous addition to your wardrobe! I do love it! I think I'm going to make a more fitted version too, yours is lovely.Now I have to find the perfect pattern for this beautiful fabric :). Thank you!